the_star_store has no other items for sale. 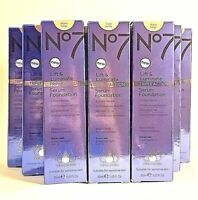 No7 Lift and Luminate Triple Serum Foundation SPF15 / 1oz - YOUR CHOICE!!!!!!!!! Super fast shipping. Packaged excellent. Keep up the good work..
Fragrance is too much for me. I really wanted to like this product and paid a great price for it, but the fragrance in this serum burns my eyes so I don't use it like the direction say you should. Not sure why anyone would think putting fragrance in something you apply to your face is necessary. 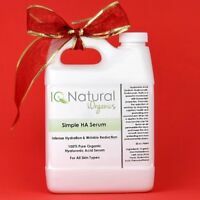 I've been using this serum for two years and love the way it makes my skin feel. Fne lines and wrinkles have shown improvement. It has a light floral fragrance that is very pleasing. Bought this and love it, not a fan of popular skin care this seems to work very well and love being able to wear under my makeup too. I usually wear a natural face most of the time, however, this is really good highly recommend.second to none. I can't say enough good about this product! I can actually see a difference in the appearance of my wrinkles already! i started using it at the end of January. I'm a 73 yr. old female that has/had plenty of deep & small wrinkles. They haven't disappeared, but have decreased immensley! My skin looks much smoother with smaller pores too! My skin is so soft & my foundation glides on now, which allows me to use less! I fully recommend this product. I also follow up with the Lift & Luminate day/night moisture creme which is also wonderful!! I love the whole line of Lift & Luminate!